Stocking over 5,000 luxury brands, Harrods is a one-of-kind department store. Renowned for their high standard of service, luxurious goods and sense of tradition, Harrods is a true London gem. The problem with Harrods? As beautiful as the department store may be (and it truly is), there is only one in London. Which makes it a special place to visit, but a little bit tricky when you want to “pop round” to pick something up if you happen to live in the other end of town. Particularly if you’re in a hurry. Pinga will connect you to a number of nearby Pinga partners, who will be happy to assist you with what you need. Consider it the Uber of services. If you need something from Harrods, you simply put out a request and one of the Pinga partners who’s able to help will ping you right back. Pinga is like that helpful neighbour who’s always around — whether to give you a packet of sugar when you’ve run out, or jumpstart your car. Or, in this case: go to Harrods and pick up that jar of caviar you just realised you forgot to buy. The one they don’t stock anywhere else in town. Another good thing with Pinga is that there are no minimum orders — if that one jar of caviar is all you want, then that’s all you need to order. If you need a last-minute gift that’s bound to vow the receiver, a killer outfit for the next party, or a new designer coffeemaker, then Pinga partners can help by dashing over to Harrods for you. After all, don’t we all dream about shopping at Harrods? You’ll make a Pinga partner’s day by having them shop for you! Pinga delivers any items from Harrods today. 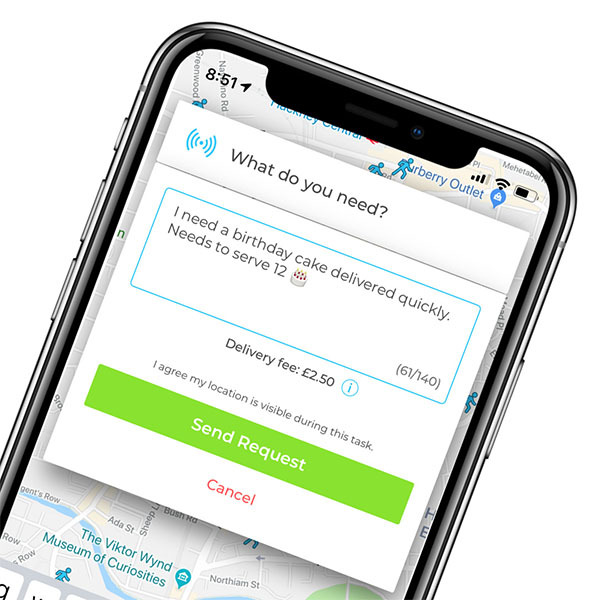 Infact our service normally delivers within an hour, so if you’re looking for same day delivers from Harrods, send your request via the Pinga App. Describe what items you needs to be delivered from Harrods and send your request. Pay securely within the app and receive your Harrods items to your door!